I know I just posted our weekly meal plan the other day, but I wanted to take the time to show you all my Monthly Meal Plan. At the beginning of every month, I take the time to write out an entire month’s worth of recipes. That way I know approximately what I’ll be making from week to week, knowing full well that there will be changes here and there. Now that Spring has arrived, I want to focus on veggie packed meals. 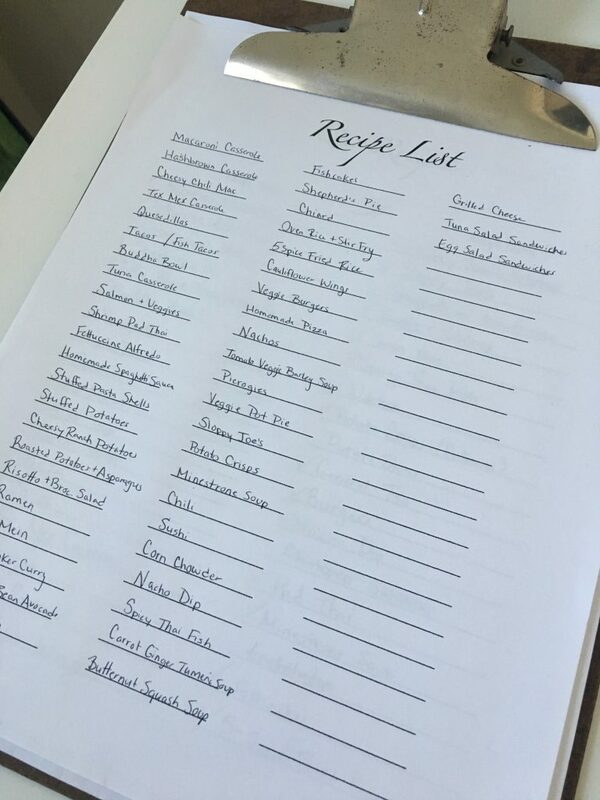 I started by making a list of all our favourite recipes. I left lots of blank space to add new recipes, so please feel free to send some along you think we might like! 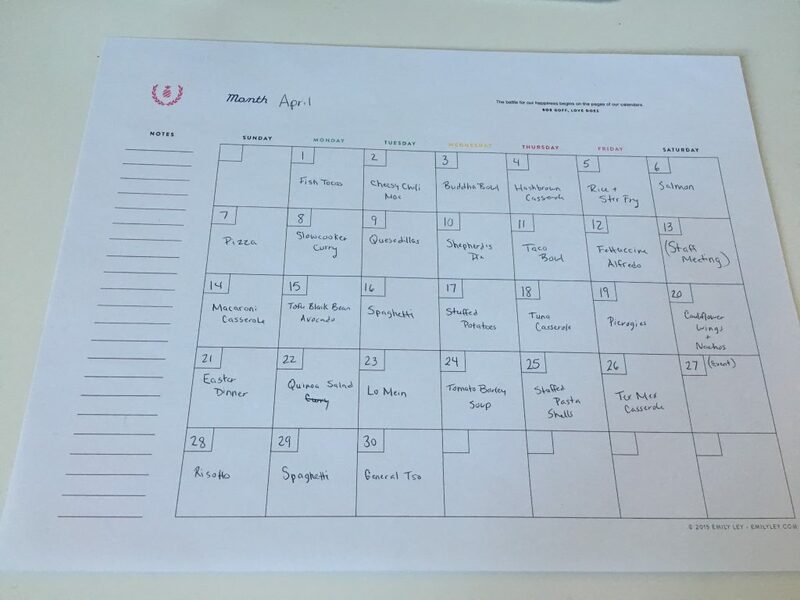 Next up was to fill a monthly calendar with all the meals we want to eat this month. This can be challenging, especially given that Max doesn’t like to eat the same thing more than once a month. That means we need to have a MINIMUM of 30-31 meals we can use throughout the month. However, things don’t always go as planned – I’m sure you know this from experience. Therefor the monthly meal plan is just a general idea of what we will be eating, not a mandatory list of what we need to eat every day. This allows us flexibility to swap out meals, and make sure to make uncooked meals the following week to avoid food waste. If you want to start meal planning, I highly encourage you to reach out and ask for help before jumping in. 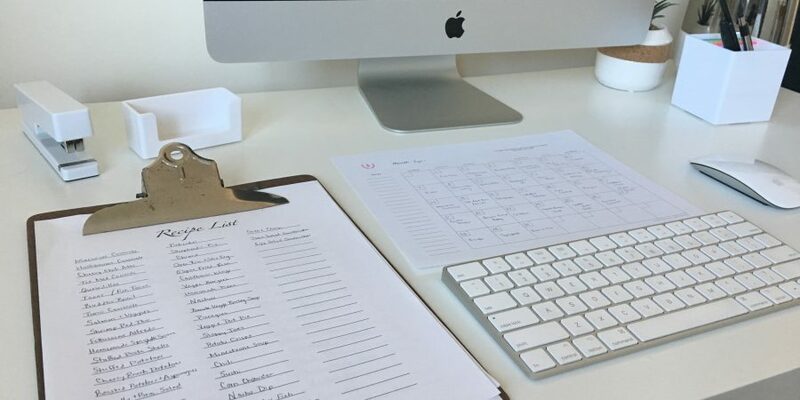 And if you need some help, I offer one-on-one meal planning consultations on a weekly basis or on a monthly basis.